HTML caption. Link to pelikan. 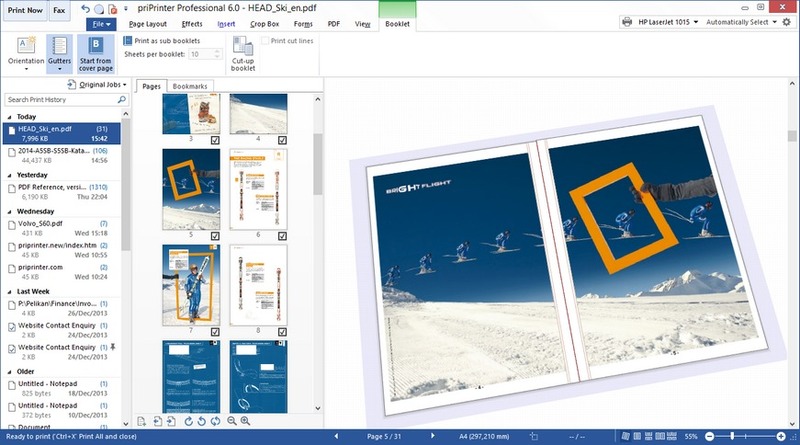 priPrinter, the leading print preview application, enables you to preview and modify printer jobs in many different ways. 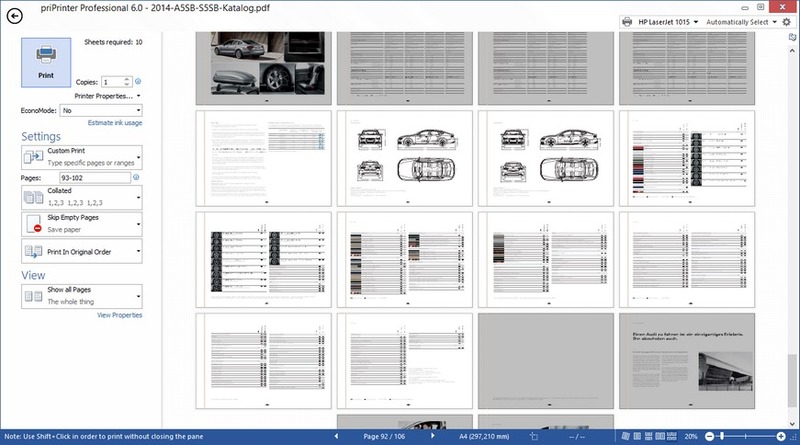 It is easy to print your pages to a real printer or save them to set of image files or single .PDF file. priPrinter is a virtual printer and you can use it as any other printer. In order to start, just print from your application to priPrinter printer. 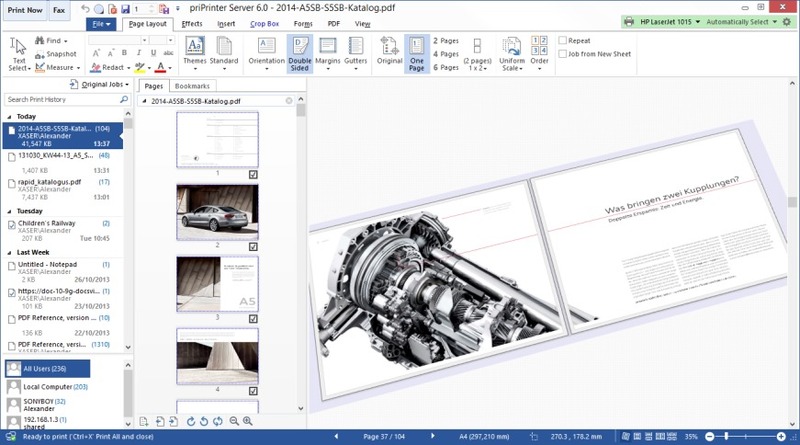 Print preview appears immediately, enables you to check the look and feel of your printout. You can be reassured that you will print exactly what you want. 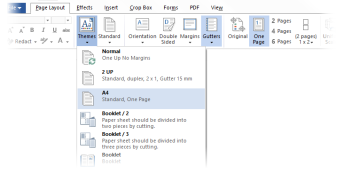 During previewing, priPrinter allows you to modify printer jobs by removing or rearranging pages, changing page layout, making text corrections, applying watermarks or markups. 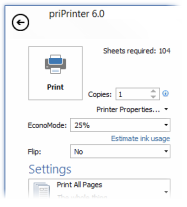 priPrinter saves your money by printing several pages on the one paper sheet or by removing non important pages, redundant headers or footers. Final printout is always on your screen, there is no need to make trial printouts and spend your money. You print only what you want and from very first print! Printer is available in two editions: Standard and Professional. Standard edition is all about printing and print previewing. 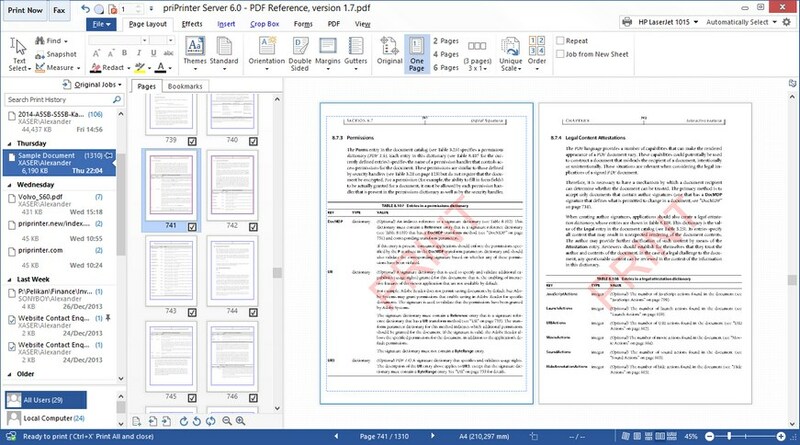 Professional edition, in additional to all standard features, has an ability to create PDF files and make text corrections. For a detailed comparison table please see this table. priPrinter trial download is fully functional. It provides all the same features, functionality and performance you'll get when you register the software. priPrinter is licensed on a per-user basis. One person can use the software on any number of devices. Each person who uses the software this way needs a license. priPrinter is licensed on a per-device basis. Many users use software on a single device. Each device with installed priPrinter needs a license. There are no any time limits or regular payments. All minor updates are free. Upgrade from one major version to the next one is free . In order to purchase please follow this link.